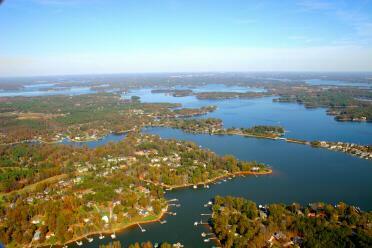 Welcome to LakeRealtyNC.com your premier resource for finding Lake Norman real estate and information about relocating to Lake Norman North Carolina. If you are a newcomer to the Lake Norman area or if you have lived here for years and need a Real Estate Professional, we are here to help. We are available 7 days a week for our clients. We can make your relocation to or from North Carolina a smoother transition. Providing Real Estate services to Lake Norman NC, including, but not limited to it’s area towns: Mooresville, Troutman, Statesville, Davidson, Cornelius, Huntersville, Charlotte, Catawba, Denver and other surrounding areas. We represent all property types: Waterfront Real Estate, Lake Front Real Estate, Single Family Homes, Waterfront Condos, Golf Course Homes, Town Homes, Multi-Family Homes, and Lots Acreage. Begin your home Search from the “Property Search” Button above. You can refine your criteria, view details of properties. If you’ve found something you are interested in, you can request more info, request a showing or save as a Favorite. You can also sign up for a FREE, NO OBLIGATION account where you can sign up for listing to be emailed to you as they come on the market. Let us show you what we can do for you, and how we will find you that special home you have always wanted.